The late 1970s through the early 90s was a golden age of the horror/slasher flick, and nowhere was filming of the genre more prevalent than in the City of Angels and its environs. Many horror locales from that time period remain unchanged today, still possessing the power to give those in the know a good spook. 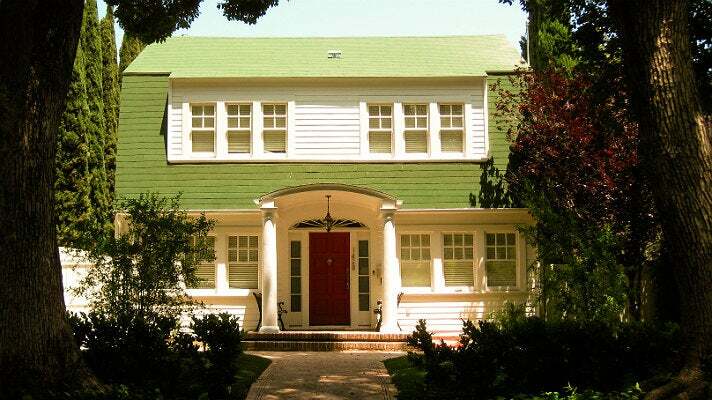 Read on for a guide to some of the most iconic horror movie locations in Los Angeles. The supposed Haddonfield, Illinois residence where a young Michael Myers murdered his sister in the 1978 film, Halloween currently serves as an office building. 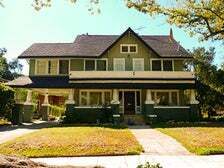 Abandoned at the time of the filming, it was later remodeled and moved from its original location a few blocks north. 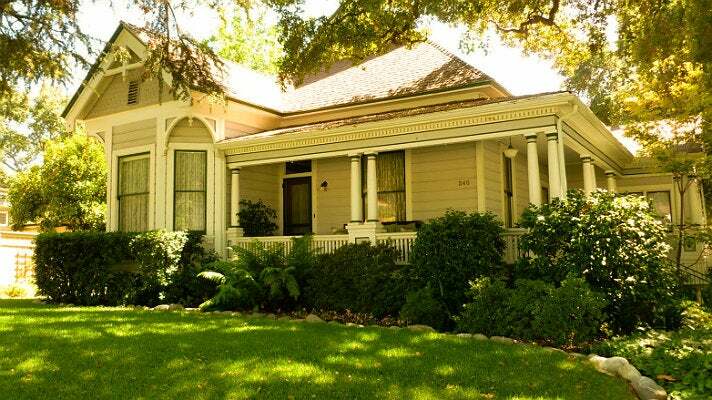 Despite the changes, the dwelling should still be recognizable to horror movie buffs. 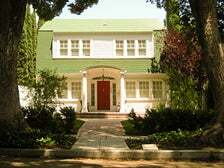 Wes Craven’s insanely popular 1984 juggernaut, A Nightmare on Elm Street launched seven sequels and a 2010 reboot and was largely lensed on a leafy residential street in Hollywood. The green-roofed, Colonial-style pad where Freddy Krueger stalked Nancy Thompson’s dreams still looks virtually identical to its onscreen self – as does the residence where Glen Lantz (Johnny Depp in his first-ever acting role) lived. Glen’s home is located two houses down from Nancy’s, on the opposite side of the street. 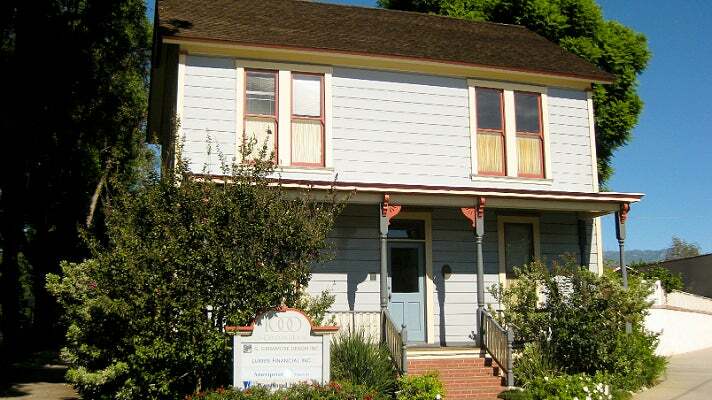 The owners of this pad have embraced its status as an iconic horror movie location and invite guests to pose in the same spot where Jamie Lee Curtis (in her very first film role) waited for a ride in John Carpenter's Halloween. Fake foam pumpkins are also on display year-round to add to the experience. 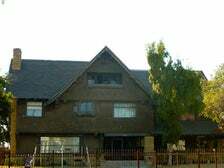 Steven Spielberg centered his 1982 thriller, Poltergeist around a house possessed by supernatural beings in the fictional Cuesta Verde community. 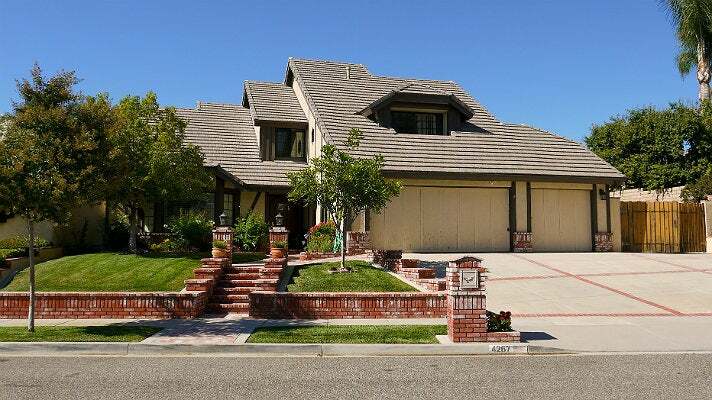 The Freeling family home can actually be found in the suburbs of Simi Valley. A six-foot scale model was used for the residence’s implosion in the film’s final sequence. 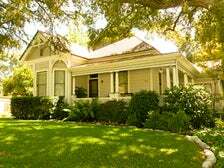 The real dwelling remains very much intact and looks identical to its onscreen counterpart. 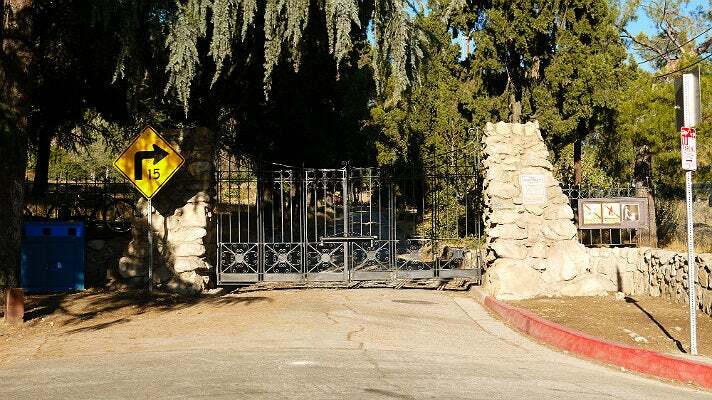 The gates to a former 1916 Mediterranean estate that once belonged to lumber magnate Charles Cobb masked as the entrance to Morningside Cemetery in the 1979 supernatural thriller, Phantasm. 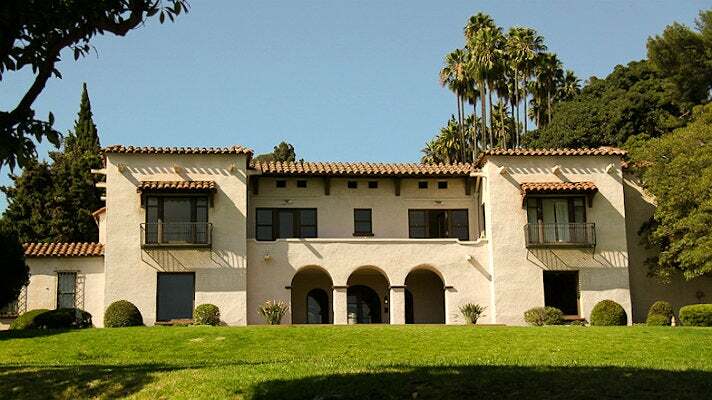 After Cobb’s death in 1939, the estate went through a succession of different owners until it was finally purchased by the Marx Brothers. They demolished the residence in 1959, but left the entrance gates unaltered. 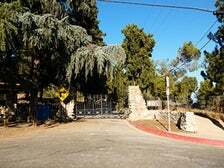 Today the 107-acre site, which is reportedly haunted, serves as a popular hiking area. 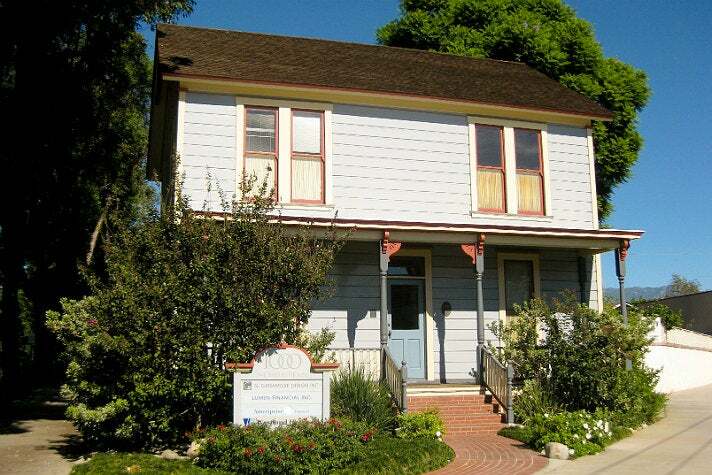 Funeral Home - "The People Under the Stairs"
The funeral home where the Robeson family lived in the Wes Craven-directed 1991 thriller, The People Under the Stairs is actually a Los Angeles Historic-Cultural Monument known as the Thomas W. Phillips Residence. 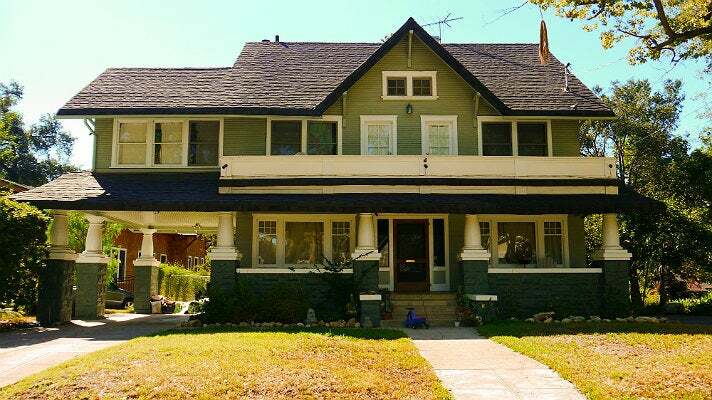 The looming three-story Craftsman, which once belonged to "Gone with the Wind" actress Butterfly McQueen, currently bears a dark wood exterior and a large expanse of dead lawn, giving it the feel of a real life haunted house. The abandoned mansion across the street also boasts a horror film resume – it appeared in "The Convent," "Twice Dead," "Evil Toons" and "The Immortalizer," just to name a few. In the second installment of the House movie series, a young couple inherits a Richardsonian Romanesque-style haunted mansion. That castle-like pad was played by the Stimson House, a 12,800-square-foot estate built by a wealthy Chicago lumberman in 1891. Today the property is owned by Sisters of St. Joseph of Carondelet, who rent it out regularly for filming. 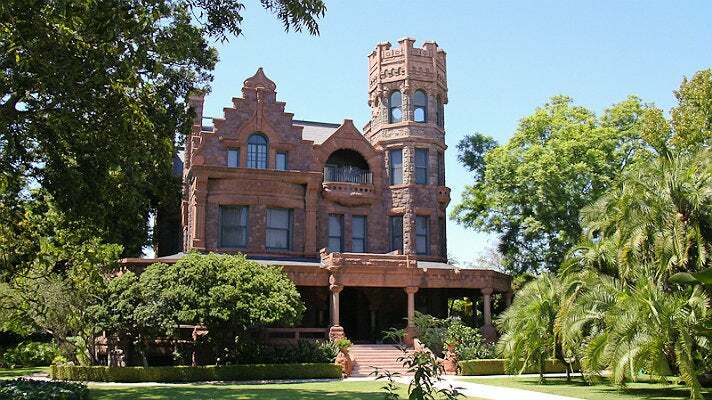 Hollywood’s historic Wattles Mansion was used as the demon-possessed home where Jonathan Graves lived in the 1985 horror-comedy, Ghoulies. 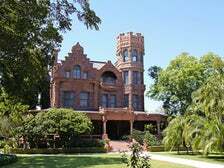 The property, which originally served as the winter residence for a wealthy Nebraska family, is currently owned by the Los Angeles Department of Parks and Recreation and its grounds are accessible to the public. 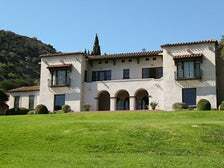 Wattles Mansion is a popular filming location and has also appeared in "The O.C.," "My Family," "Troop Beverly Hills," "Rain Man," and Diana Ross’ “Eaten Alive” music video. High School Gym - "Carrie"
The infamous prom scene from the 1976 Brian De Palma film, Carrie took place at the gym of the former Pier Avenue Junior High School in Hermosa Beach. 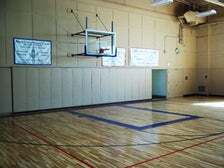 While the school’s gym interior was used for some filming, a replica of it was created on a soundstage at Culver Studios for the massacre scene. 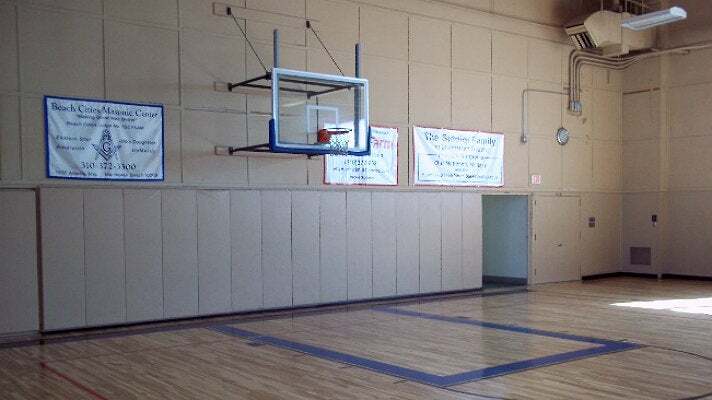 Pier Avenue Junior High shut its doors in 1975 and was subsequently converted into the Hermosa Beach Community Center, which still looks largely the same as it did in "Carrie." 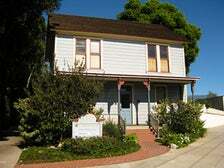 One of Monrovia’s oldest surviving Victorian homes served as Leigh’s residence in Christine, John Carpenter’s 1983 film about a possessed Plymouth Fury. 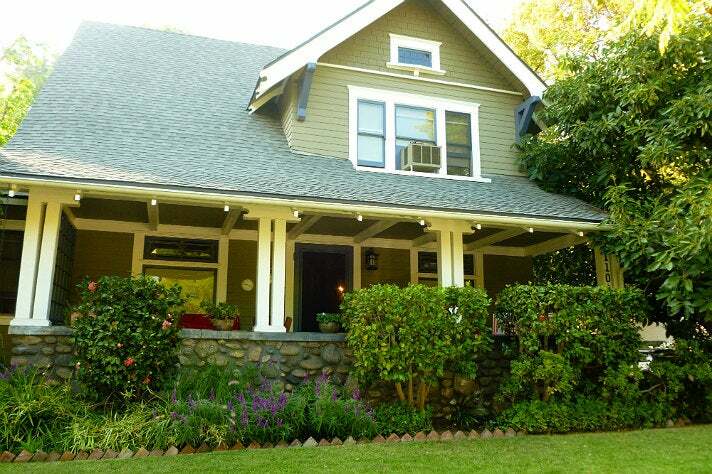 The gorgeous dwelling was originally constructed in 1887, the same year that Monrovia was incorporated as a city, and was also where Betty White lived in the 2010 rom-com "You Again." 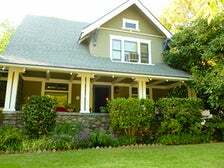 In the 1990 sequel to the cult favorite Child’s Play, Andy is sent to live with a foster family in a large two-story Craftsman residence located on a quiet street in South Pasadena. Unfortunately for Andy, his demon doll, Chucky, manages to track him down at the home and continues on with his plan to possess his body.